Specimens of duplex stainless steel (DSS) were exposed at temperature of 200°C in industrial white liquor from a Brazilian kraft mill using an autoclave to simulate the same conditions of a digester processing. This study will aim to characterize the oxide scales formed on alloy surfaces under such superheated environments and how the presence of these oxides reduces corrosion. Pertinent mechanisms of scale and deposition control processes as well as the sources of contaminants are discussed. Methods of prevention and control parameters are demonstrated with laboratory and field results. This study used a synthetic solution to simulate weak black liquor environments (5 g/L sodium hydroxide and 20 g/L sodium sulphide) at 160°C to perform laboratory experiments. This paper presents the development program of UNS S83071, a new improved duplex stainless steel customized for the high-pressure section of urea plants. This research aims to develop a fundamental understanding of the synergistic effect between molten salt and hot gaseous environments on corrosion mechanisms in kraft recovery boiler superheater tubes. Control of iron oxide deposits by using specific polymers is key to maintaining clean heat transfer surfaces and generating passive films within an industrial boiler. 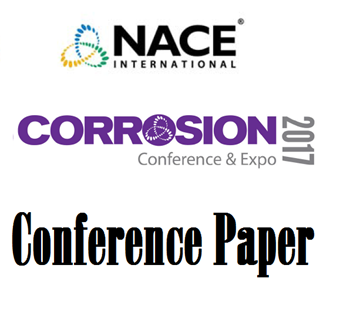 The growth rate of small and long stress corrosion and corrosion fatigue cracks in 12Cr steam turbine blade steels in low conductivity water containing 35 ppm Cl- (simulating upset steam condensate chemistry) showed a significant dependence on crack size for the same mechanical driving force. 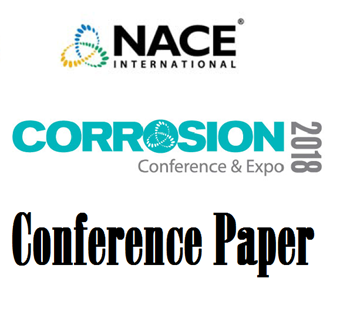 To better understand the mechanism of erosion-corrosion, electrochemical tests were performed on UNS G10180, UNS S31603 and UNS S32205, used in the construction of pulp/paper machinery components exposed to caustic environments. Gypsum scale formation takes place directly on the surface of heat exchanger without bulk or spontaneous precipitation in the reaction cell. Polymeric and non-polymeric inhibitors have been examined for their effects on the rate of scale formation. Two surveys were conducted in 2011 to understand the industry knowledge and experience with respect to the use of biodiesel. This paper summarizes the salient features from these surveys.